Can I Paint you a picture? Reflections: Can I Paint you a picture? 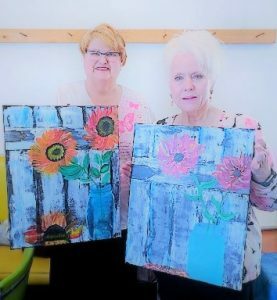 My dear friend Jeanne signed us up for a painting class on “How to paint sunflowers”. Since I hadn’t oil painted for over thirty years I was game. Besides, I had never used acrylic paints and thought it would be an adventure. We arrived at the class just in time to get our aprons, paint, water, and easels set up. As our teacher started to explain about her class, she wondered how many first timers were there, or those who already painted. 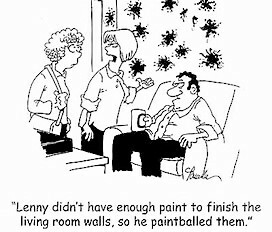 She also inquired if there was anyone who was an OCD painter. At that point, I should have put my hand up. How did she know? Thirty years ago, I loved to paint. My favorites were landscapes and florals. But there came a time I had to set painting aside and eventually quit altogether. I would become so obsessive about a painting that I couldn’t stop rearranging or fixing it. Then I would be up half the night and wouldn’t be able to sleep for thinking about what I could do better. Although I had painted pictures for other people, I always felt they were never as good as they could have been. If only I had just a little more time. I laugh now when I think about one of my daughters’ grade school art assignments. It was during the month of October, so she made a black and white picture with trees and tombstones in a cemetery with a concerted effort to make it look scary. When I asked how the teacher liked her picture, she said: “no one commented on it”. As I began painting again recently, some of those old feelings came back; “it’s not good enough” or “it looks horrible”. I wonder where those feelings come from. Could it be from wanting everything perfect and struggling to measure up? Even after all these years, those old feelings still bubble up. Previous Post: We Will Not Forget! I loved your story and how you open yourself up so we can see your vulnerability. What a timely message this was for me today! Thank you. Just paint like nobody’s watching. It’s good therapy. We spend the better part of our lives trying to get approval and the last part trying to unravel ourselves. Love what you paint, God only made one of you.